The screens can easily transform large areas into smaller, more intimate spaces while maintaining transparency and airflow. 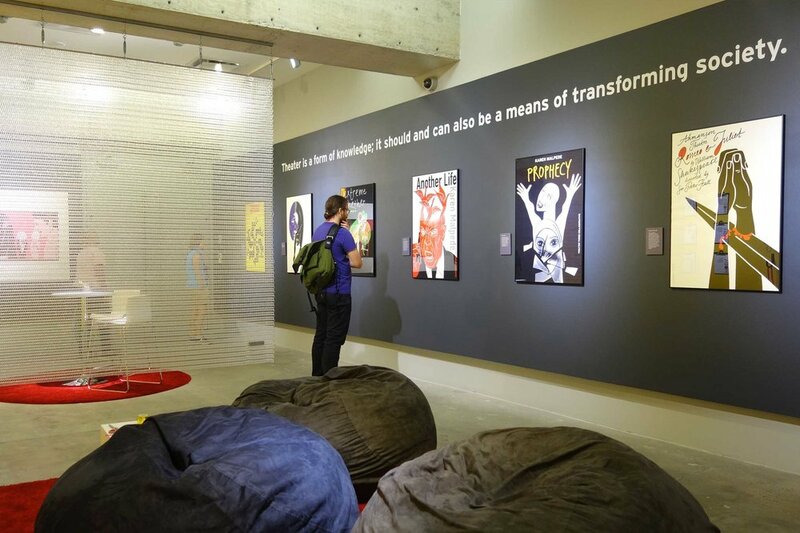 The Museum of Design Atlanta (MODA) is the only museum in the Southeast of the United States dedicated exclusively to the study and celebration of all things design. Formed in 1989 as the Atlanta International Museum of Art & Design, MODA has grown and evolved over the years to become the Southeast’s only design museum. The museum also holds the distinction of being a Smithsonian Affiliate. MODA approached Kaynemaile to use a Hanging Screen under a sponsorship agreement as part of an exhibition featuring the work of Luba Lukova. A designer and an artist, Luba Lukova creates images that she hopes will catalyse action and change the world. Her thought-provoking posters address essential themes of humanity and injustice worldwide. Her messages help viewers develop empathetic understanding for social and cultural issues through indelible metaphors and an economy of line, colour, and text. Kaynemaile provided MODA with Water Clear Hanging Screens that were used to divide the main gallery space. The screens can easily transform large areas into smaller, more intimate spaces while maintaining transparency and airflow. They look great with lighting effects day or night. Kaynemaile hanging screens are easy to install and deinstall with minimal fixings so work well within a gallery space where space requirements are constantly changing. These screens will be used for future exhibitions at MODA.